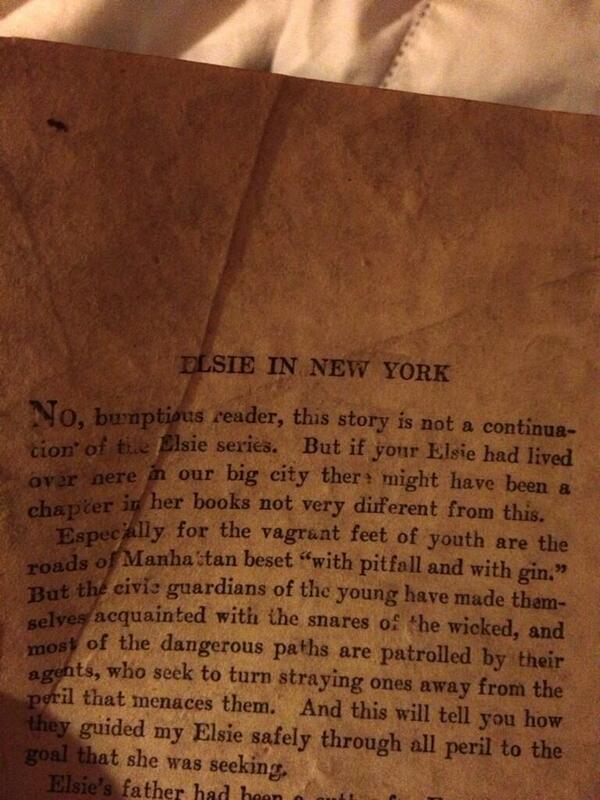 “No, bumptious reader, this story is not a continuation of the Elsie series. But if your Elsie had lived over here in our big city there might have been a chapter in her books not very different from this. But the civic guardians of the young have made themselves acquainted with the snares of the wicked, and most of the dangerous paths are patrolled by their agents, who seek to turn straying ones away from the peril that menaces them. Epic groundscore in West Hollywood. My reasearch has led me to surmise these pages fell from this O. Henry here. Oh, Elsie and O. Henry. The perils! The parody. I love that this literally fluttered into my lap on my rooftop(ground) in WeHo.